We´ve just begun autumn and with the falling of leaves comes one of the greatest times of the year, the start of my favorite TV shows! I absolutely love ending the year watching episodes of my favorite shows. I won´t lie though, it gets harder and harder to find the time to watch them because there are just so many, but hey this is why we love to binge-watch right? Once you find that moment you just can´t stop! If I had to choose which one has been my great discovery so far, I´d have to say Stranger Things. It´s got a very intriguing synopsis with charismatic characters that will grab your attention from the first minute you watch, but above all I´d say it is great because it´s so different than most. It´s really hard to find a show that surprises you with all the variety there is. 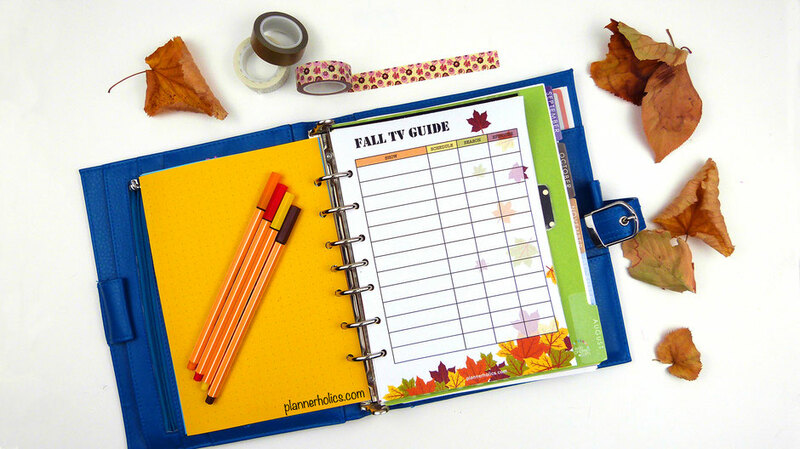 I´ve got a few fall shows already written down in my planner that I want to start watching, but I´m sure I´ll be adding many more as I get hooked to them one by one. Here are some of my favorites: Once Upon a Time, The Walking Dead, New Girl, American Horror Story and yes, I´m going to throw a reality in there, Dance Moms! lol, please don´t judge. Anyway, as per usual, I thought all of you could join me in logging your favorite series on tv at the moment, just so we can all keep up with them, their schedules, what season they´re on and how many episodes. 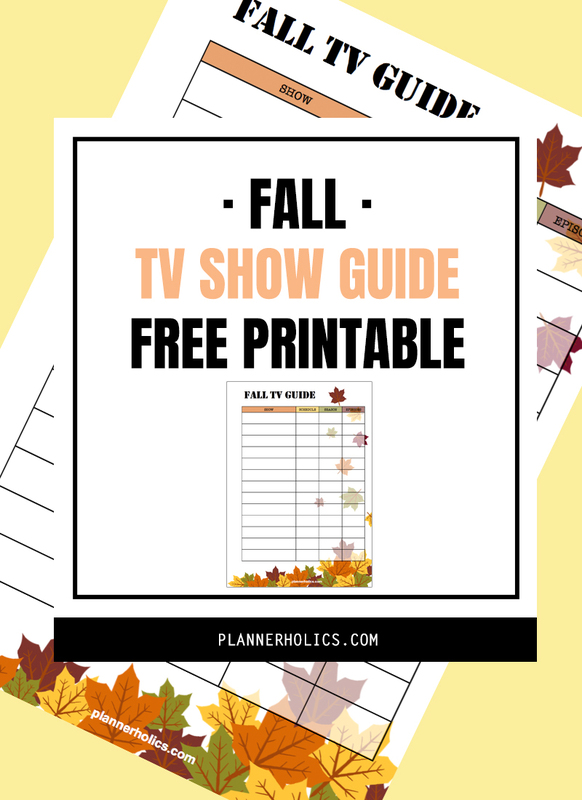 So I´m leaving a free fall tv guide printable in A5 and personal size to keep in your planners. 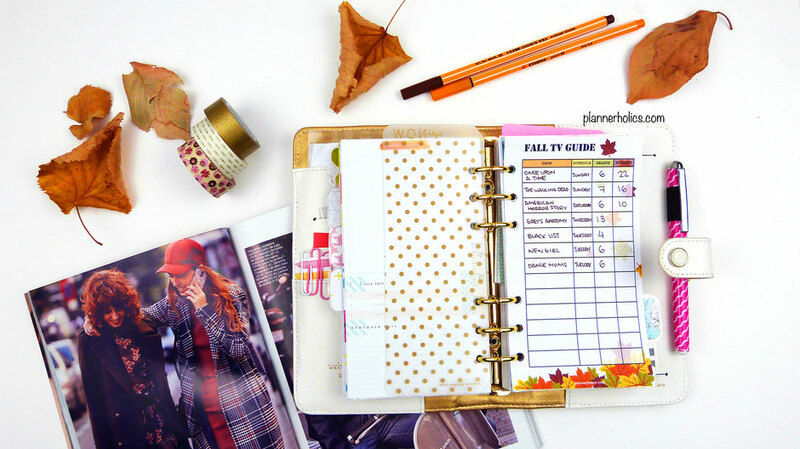 Don´t forget to share your planner inserts on social media using the hashtag #plannerholicsinserts and tagging me @plannerholics. I´d love any recommendations if you want to share them in the comments below too!